Zaatar w Zeit launched their all-new “Boomburgers” to usher in my return to Beirut. Nah, I’m totally joking, but the coincidence did tickle me for a moment or two. In all seriousness, your favorite manoushe manufacturer plus some (and by some, I mean their menu has more “some” than it has manakish!) is treading into burger waters again. I say again because years ago, they used to feature a burger composed of two flatbreads as buns. 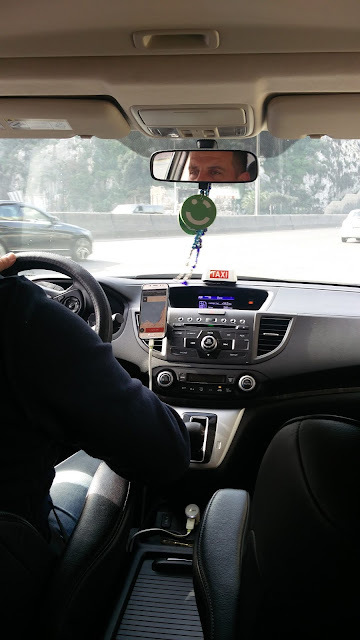 Perhaps owing to little demand, the burger was chucked from the food line-up, while focus was pumped into ZWZ’s wildly sought after sandwiches and pizzas. It’s the end of 2017, and why not end it on a bang, or a boom! 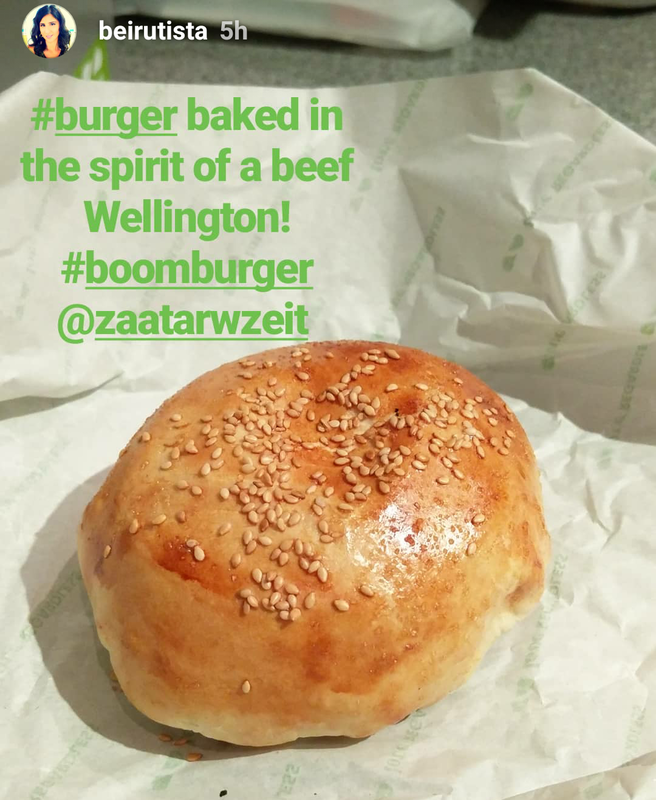 Thus reasoned the ZWZ food creators and management, and the Boomburgers were born. There are two compelling aspects I’ll treat here. First, the edibles. Both chicken and Angus boomburgers resemble Beef Wellingtons, in that in lieu of a traditional burger bun, a seamless sack is adopted. 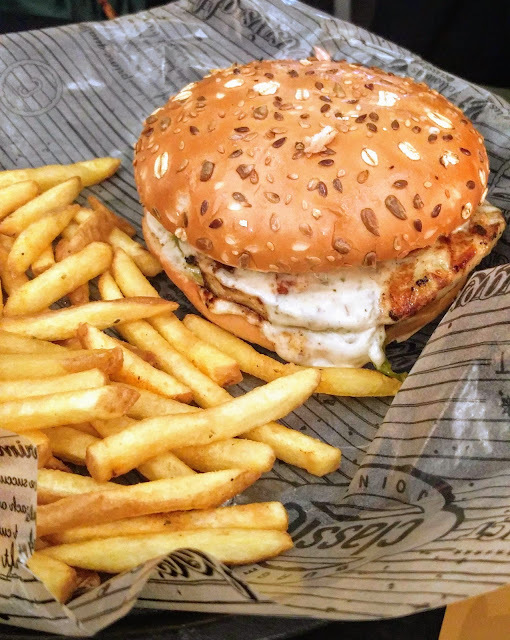 In our Levantine cuisine, the ouzi most closely evokes ZWZ’s burger novelties. Slice it down the middle to reveal the cross-section of a burger. 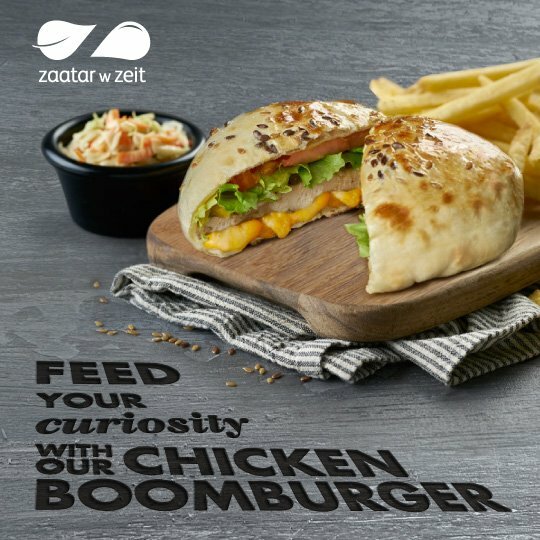 I found the chicken edition to channel ZWZ’s Famous Chicken wrap, complete with tender chicken breast, molten cheddar, lettuce, tomato, and signature sauce. The Angus boomburger establishes its own flavor profile but could do with a lot less salt and seasoning. Either Boomburger is served exclusively in meal format for 15,250 LBP (US$ 10.17) and presented in an interesting hexagonal extrusion if ordered as delivery. Which brings me to the second aspect: packaging. I’m not sure what the creative team was aiming for, but could the cylindrical box encasing burger, fries, and coleslaw attempt to mimic a boom box? Tug at the little zipper on the side panel to unzip the three-layer contents (though admittedly, the unzipping process isn’t entirely flawless). The top box contains a plastic cup of coleslaw and two packets of ketchup. The center box cradles the fries. And the bottom box conceals – you guessed it – the burger securely wrapped in wax paper. At its core, the hexagonally cylindrical box is superfluous. It may look pretty, but it’s a landfill’s nightmare, and Lebanon isn’t without its shortcomings in the recycling department. As whimsical and original as the packaging comes off, it pains you to toss it in the trash, because most likely it will never be reused, resourced, or reimagined into a second life. That’s the engineer and conservationist in me, miffed that the iconic green company opted not to go green. 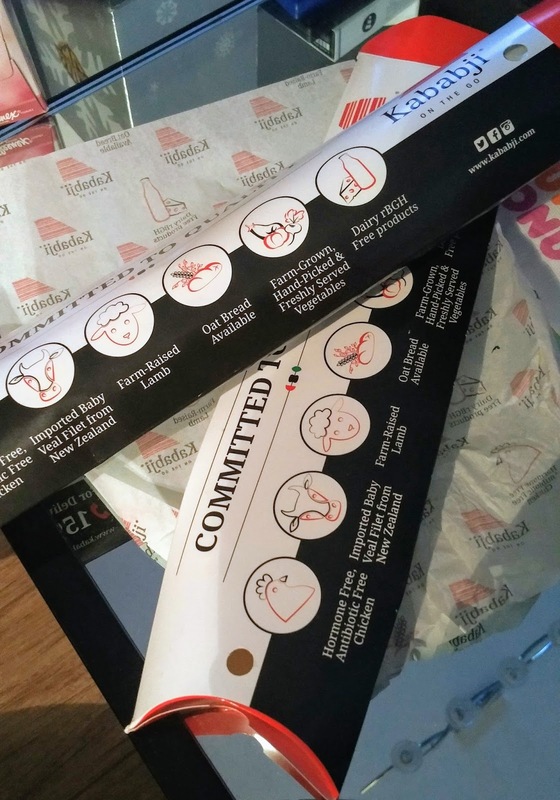 ZWZ isn’t the only restaurant chain deserving of reproach. All Lebanese restaurants do it, from Kababji with its cardboard sandwich sleeves to Classic Burger Joint with its cardboard burger boxes. Order a plat du jour from just about anywhere, and you’re bound to be greeted with a thick cardboard box outfitted with inserts for each meal component, from salad to main to dessert. Kababji's sandwich sleeves -- excessive, no? So here’s my charge to ZWZ and other food enterprises: show us some flair and ingenuity when it comes to MINIMIZING the packaging. 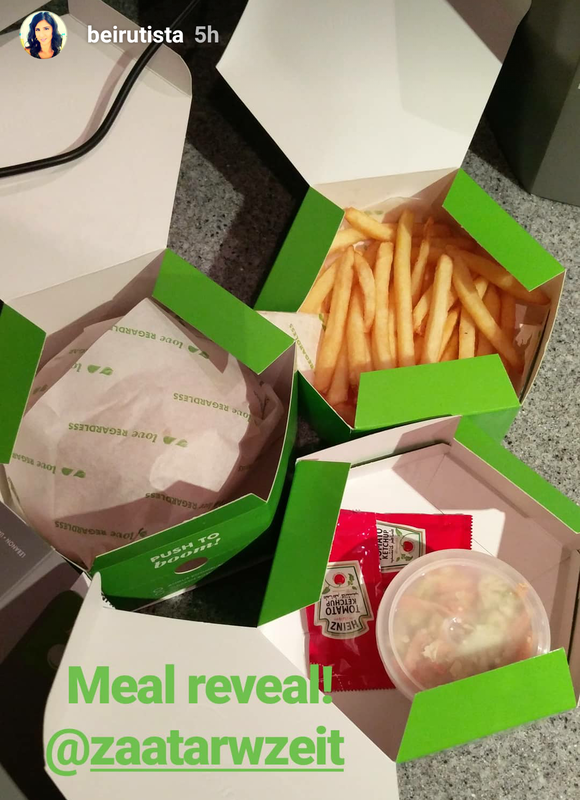 The boomburger meal could have more efficiently been tucked inside a brown paper bag (recycled, of course): burger in wax paper, coleslaw in plastic tub, and fries in a paper sleeve. Look at how the American fast food chains do it, and take note. 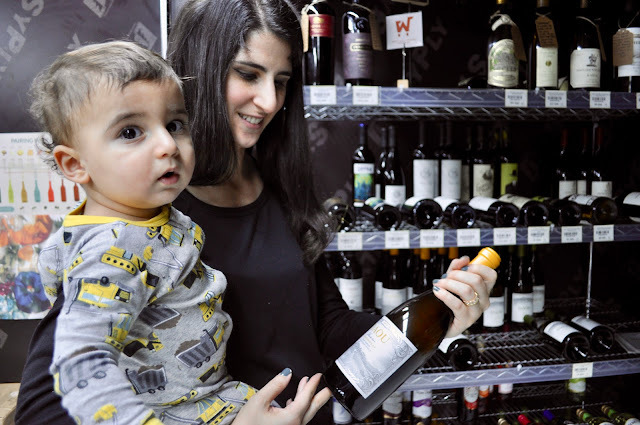 There’s a reason they can get away with charging less for their food, and that’s because they don’t have to pass on pricey packaging costs to consumers. What say you, ZWZ? Think this challenge can make it to your New Year resolutions? I can’t wait to see what tempting things you bake in 2018!